Here are some frequently asked questions about joining the AARO expat health insurance program. If you need more information or have questions, please use the Contact AARO page. Who can subscribe to the plan? American citizens who are living abroad. Their dependents need not be American citizens, but they must be living with the primary insured. The primary insured must be a member of AARO. How long must I live abroad? Your primary residence must be outside the US for more than six months per year (at least six months plus one day). Coverage begins the first day of the month following acceptance by the insurer. Coverage remains in effect, as long as there is no interruption in payment of the premium and the insured remains a member in good standing of AARO. The plan only covers you for the time you are outside the US, except for the annual 30-day coverage in the US. I currently reside in the US, but I will be moving to Germany soon. Can I sign up now? 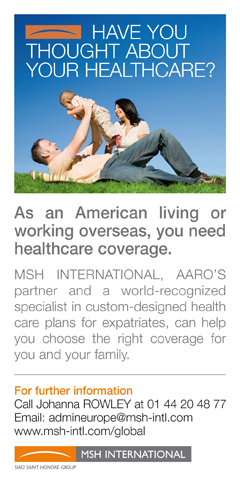 You can join AARO now and join the healthcare plan when you have established your foreign address. Do I have to be a member of AARO before I can join the insurance plan? Yes you must be a member in good standing of AARO to join the plan. Information on joining AARO can be found on the AARO Membership Application page. Will this plan also serve as travel insurance? No, you will need to obtain a separate travel insurance policy that meets your specific needs.